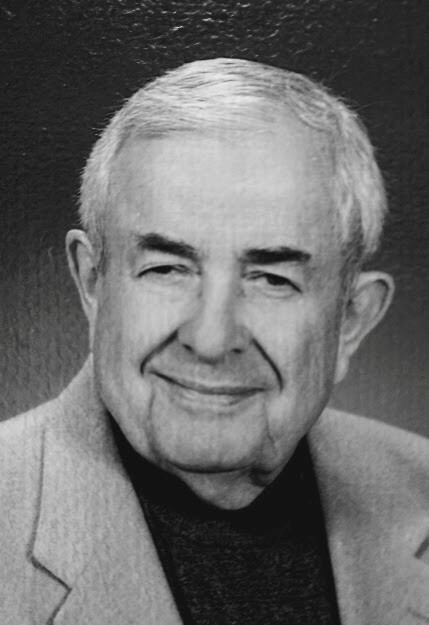 Joe Hartenbower, 82, of Overland Park KS, cancer survivor and loving spouse, suffered from advanced dementia and passed away peacefully on Sunday, April 7, 2019. Joe is survived by his wife of 43 years, Donna Mannen Hartenbower; his son, Joel Hartenbower of Flowery Branch GA; and step-daughter, Gretchen Grade (Joel) of Deerfield IL; grandchildren Avery and Alexa Grade, and extended family throughout the country. Born in Evanston, IL on July 20, 1936, Joe was the only child to E.K. (Joe) Hartenbower and Dorothy Westwood Hartenbower. When Joe was age 7, the family moved to Kansas City, Missouri, where his father was Vice President and General Manager of KCMO Radio and, later, KCMO-TV. Joe grew up an astute student of TV and communications. He graduated from the New Mexico Military Institute in Roswell NM, and later with a Business Administration degree from the University of Missouri. He served as a medic/flying status in the United States Air Force reserves, and was called to active duty during the Berlin Crisis of 1961, when the Wall was constructed separating East & West Berlin. When Joe returned to civilian life he was employed by IBM, first as a salesman and soon thereafter as Sales Manager. In his first year as salesman in IBM’s Office Products division (think: “Selectric roller-ball type writers, when they first came out), he was the #1 salesman in the US. As Sales Manager, his office also soon became #1 under his leadership. In addition, he served for a time as personal assistant to Tom Watson, Jr.—the second-ever CEO of IBM. In all of these positions, he acquired invaluable management experience and business acumen. Joe’s entrepreneurial spirit and talent for sales, marketing and consulting next led him to begin a new sales career as Vice President, Director of Sales and Branch Manager for Eugene D. Brown Real Estate. Applying the assimilated lessons and successes of IBM and real estate, Joe began his own consulting firm in 1974, Hartenbower and Associates. Together with his wife, Donna, they worked with multiple entrepreneurial companies all across the US to develop the owner’s awareness, and train them and their management staffs in how to grow, develop & ensure the perpetuation of their companies beyond the owners’ life and/or interest spans. In 1996 the Hartenbowers worked with Joe’s son and son-in-law to create a new company, AM/PM PC Services. Together they hired, trained and managed a team of computer technicians to develop the business, helping individuals and business owners with their computer and server technology needs. Due to declining personal health, the business was sold in 2018, allowing both Joe and Donna to retire. Throughout his life and career, Joe championed many personal health challenges and for those for whom he cared. After losing sight in one eye, in 2003 some necessary work was being done to the second eye, which was unsuccessful and left Joe legally blind. On the journey of accepting the incontrovertible facts of his blindness, Joe discovered a new spiritual strength and path, first with Unity Church of Overland Park, and later as a member of Church of the Resurrection. Joe overcame the loss of his driver’s license and mobility by proudly learning to operate a Segway and, later, an electric 3-wheel motor scooter. In 2013 Joe became deathly ill from Esophageal cancer which he miraculously survived. It was then that Joe began planning to sell the business and retire. It was also a period of time when signs of dementia began to surface. Due to the needs and challenges of advanced dementia Joe was moved in January 2019 to Garden Terrace of Overland Park where he made his peaceful transition at 1am on Sunday, April 7. Joe’s body has been cremated and will be interred at the Leavenworth National Cemetery. A memorial celebration of Joe’s life will be held at 11am Friday, May 10 in the Church of the Resurrection, Wesley Chapel, Building C, in Leawood. Visitation and a light lunch will follow. While a successful business man, and lover of life, Joe’s enormous heart is best known to the people who knew and loved him. They were and remain as members of his family. We encourage stories to be shared. In lieu of flowers please consider a memorial contribution to the American Cancer Society, Alzheimer’s Association, or Church of the Resurrection. Joe has been a dear friend for nearly 50 years. We have always found ways to assist one another from our respective skill sets. Joe had a brilliant mind for business and was an astute student of human behavior. He had a generous heart, always concerned for the less fortunate. All these attributes he used for the good of his family, clients and friends. I will miss his friendship and our long and world-problem-solving conversations. Donna and Doug, you have given most extraordinary love and care to Joe.